Cabbage! CSA members are finding a green cabbage in their harvest boxes this week, and market goers will also see cabbages on our tables most weeks. At Rootdown, we grow four different kinds of cabbage. Green and red cabbages, which people are most familiar with, as well as Savoy (a darker green, more crinkly variety) and Napa (more Chinese-cabbage style). Such a large vegetable, and sometimes it’s hard to know what to do with it. Here are a few suggestions. The first, and probably most obvious choice, is coleslaw, and is a great use of cabbage. For best results, slice the cabbage very thinly (try a mandolin slicer), and add other veggies like carrots or hakurei turnips (Rootdown favourites! ), or even shredded beets. Dressings can be creamy or vinegary, whatever your preference. Although I haven’t personally tried to make it, I have immensely enjoyed eating the Japanese Okonomiyaki that our friends at Jeggs make (find them at the Whistler Farmers Market). They use our cabbage to make these, which are like Japanese omelets or pancakes – reminds me of my years in Japan! 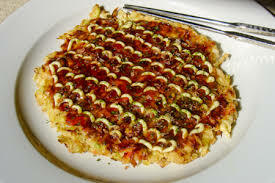 I have found an Okonomiyaki recipe that would be worth trying. For other cabbage recipes, check out these 23 Easy Cabbage Recipes. This version of cabbage may or may not be familiar to you. 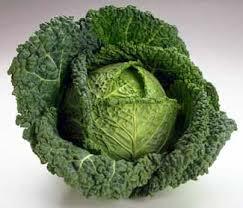 It is a longer, milder cabbage, and is great in stir fries or sliced thinly into salads and wraps of all kinds. If ever you find yourself at our market stall or picking up your CSA box, and there’s a vegetable that you’re not familiar with, not sure what to do with, or want to know the tastiest way to prepare it, please ask! We can also give you great information on how to make your vegetables last even longer.